I’m sure everyone is aware that today is the big day when Apple will unveil their smaller iOS tablet to the mobile space, with Apple holding an event for the occasion that will kick off at the California Theatre in San Jose, with the event kicking off at differing times depending on which part of the world you are in, here in the UK it will happen at 6PM. We here at Phones Review will of course be covering that event bring our readers all the news on the Apple iPad mini as and when it is revealed, and will no doubt clear up a lot of the rumours surrounding the smaller version of the iPad, but what do our readers expect from the new iPad mini. 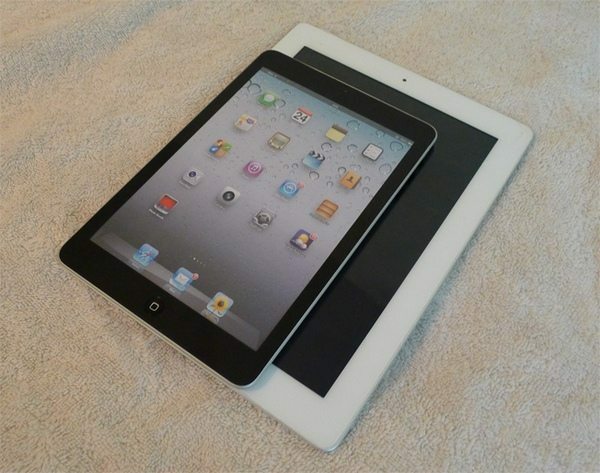 It’s pretty evident that the new iOS slate will be smaller than the new iPad, and is expected to be somewhere in the 7-inch range and there have been rumours that the iPad mini will feature a display with a 4:3 aspect ratio unlike many rival Android tablets that offer 16:9 aspect ratio, and this will mean the iPad mini will probably suffer from letter boxing. Then there’s also been a rumour that the iPad mini wont support 3G but will only be a WiFi variant to keep the price point down so it can complete with Android rival tablets such as the Google Nexus 7 and Amazon Kindle Fire, although other sources say there will be WiFi+3G models available. No doubt the iPad mini will come out to play packing iOS 6 but will the smaller slate suffer the same issues in iOS 6 as people have been experiencing with the iPhone 5, or will iOS 6 have been updated for the iPad mini so it doesn’t experience those same issues. When Apple unveils the iPad mini will the tablet come will new added features or will it simply be just a shrunk down version of the iPad for those that would like a smaller version of the popular Apple slate? We’d love to hear from our readers on what they would like to see with the Apple iPad mini, so feel free to get the discussion going in our comments area below as we countdown to the Apple iPad mini event.